The behaviors of cellulose (commercially available filter paper) were investigated in glow-discharge plasma, where pyrolysis does not occur because of low temperatures. Cellulose filter papers were decomposed in a glow-discharge plasma with nitrogen flow even at low temperatures of around 50 °C and disappeared completely after a treatment of approximately 90 h without char formation. Tar formation was not observed on any surfaces inside the plasma chamber and vacuum lines. Hence, it was concluded that all cellulose was decomposed into gaseous products. An in-situ analysis of gaseous products by quadrupole mass spectrometry suggested the formation of H2, H2O, CO and CO2 from cellulose. These findings indicate that a clean and complete gasification of cellulose can be achieved with glow-discharge plasma. 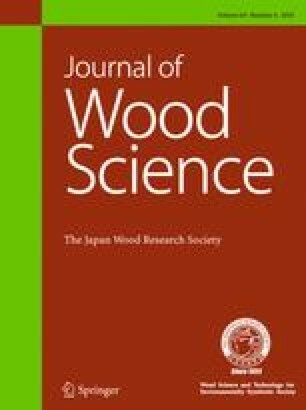 This study has been presented in part at the 66th Annual Meeting of the Japan Wood Research Society in Nagoya, 27–29 March, 2016; the 68th in Kyoto, 14–16 March, 2018 and the 24th Annual Meeting of the Cellulose Society of Japan in Gifu, 13–14 July, 2017. This work was supported by a Grant-in-Aid for Challenging Exploratory Research (no. 26660280, 2014–2016) from the Japan Society for the Promotion of Science.